Roger is from Goldsboro, North Carolina. He attended Goldsboro High School and East Carolina College. Roger had a successful 30-year career with the Ross division of Abbott Laboratories. Her retired as the Southeast Regional Manager of Academic and Government Services. Roger and his wife Claire Jo have been married for 45 years They have lived in the Horseshoe Bend community of North Fulton County for 35 years. They have 3 grow children and 5 grandchildren. During his 35 years in Fulton County, Roger has been a member and chairman of the Fulton County Housing Authority and the Fulton County Planning and Zoning Commission. He has been an active citizen. He has worked with many leaders and the membership of local organizations. He is on too many boards to mention and is the ambassador to the community at large for numerous organizations. Roger has worked with government officials at all levels on countless projects and ideas that have benefited our community and the state of Georgia. He is always available to move a project forward and to see it through to a successful conclusion. Roger has helped so many individuals and organizations around the state to become better leaders and in so doing his efforts have created stronger organizations through stronger leadership. He has worked directly with leaders and members of the Johns Creek, Roswell, Alpharetta and Milton communities. Roger has always been available to work with elected officials and organizations to promote good ideas that benefit the citizens of North Fulton. In so doing he has promoted, assisted with, and worked with just about every organization in the cities and communities of North Fulton. Roger is known as “Georgia’s Mr. Facilitator – The Go to Guy” who always gets the job done in the best possible way. 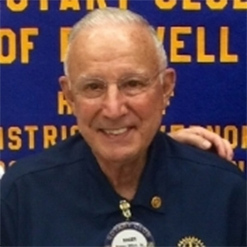 An Army veteran, Roger is the ambassador for Post 201 of the American Legion and is always an active participant in recognizing and assisting our community in giving special recognition to our local men and women who serve in our military. He is the national ambassador for the Shriners Hospital System, the Shriners of Georgia and the Masons of Georgia, always working tirelessly to support our greatest natural resource – our children. ROGER PAYS HIS CIVIC RENT. Georgia is a better place because of his contributions to his community, county, state, and nation.